At Mr. Pavement, we know that a paver patio can add a special element of design to your property and can give you the extra outdoor space you want. 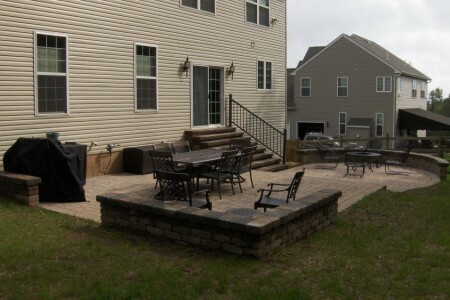 We specialize in paver patio installations and are happy to help make your patio vision come to life. Pavers can be made from many different materials, and some of the most popular include brick, stone, and concrete. 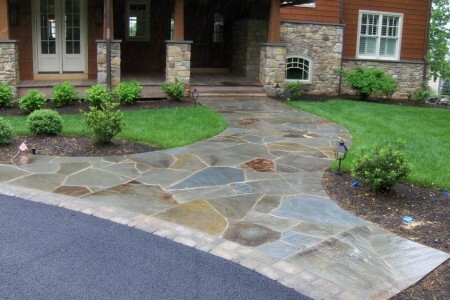 Each type of paver has its own look and can add that special touch to your back yard. No matter which paver material you choose, you’ll enjoy the natural hardscape design of your patio and the space it gives you. Our paver patios are perfect for an outdoor barbeque, a fire pit, a neighborhood get-together, or simply a spot to relax and unwind. In addition, a paver patio can help increase the value of your home and appeal to potential buyers, if you ever decide to sell. When it comes to patio installations, our experts can help you choose the shape and size that will fit your home and your budget. Once we map out where the patio will be, we’ll quickly get to work by digging out the area, pouring and compacting a layer of gravel, leveling out the area with sand, then laying your pavers and filling in the joints. We’ll work quickly and thoroughly so you can enjoy your patio as soon as possible. Contact us today to get started.